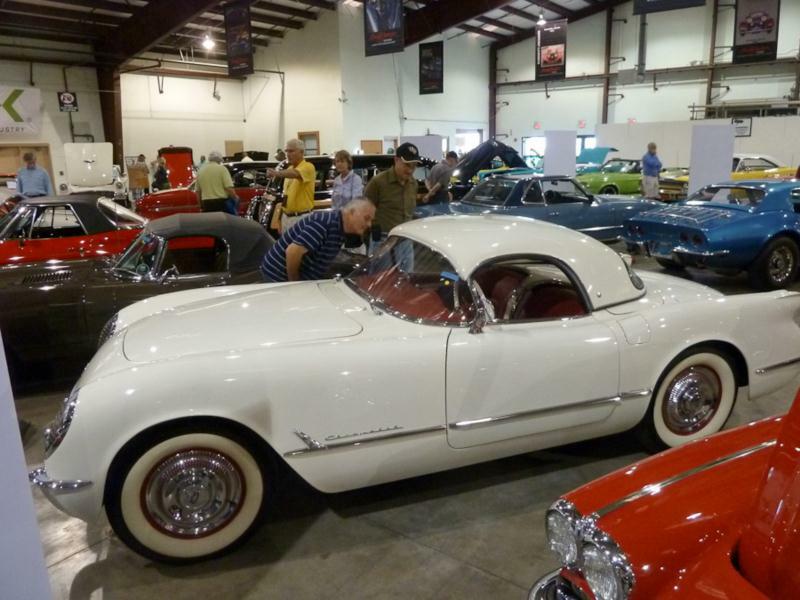 After an enthusiastic reception of the 1953 Corvette Motorama Show Car, GM began actual production in June of 1953. All 300 1953 cars were Polo White with a Sportsman Red interior, and a 150-hp Blue Flame six-cylinder engine was under the hood. 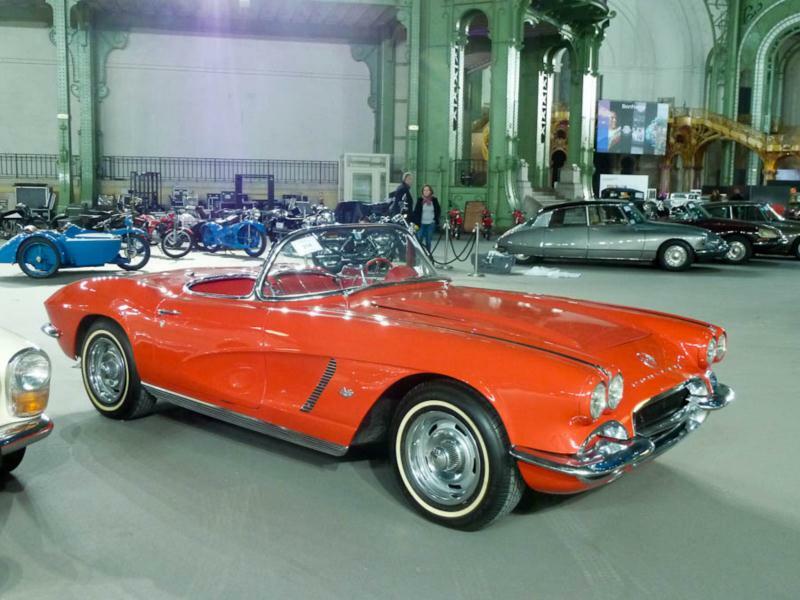 Production increased to 3,640 vehicles in 1954, but true sports car fans wanted more gears and more power. 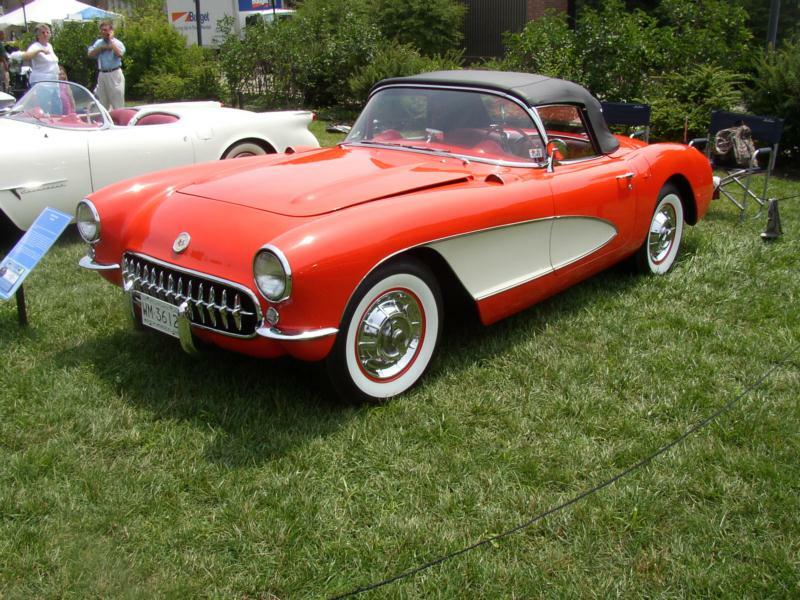 By 1955, Chevrolet responded with a 210-hp V-8 as standard equipment, as well as a 3-speed manual transmission option. 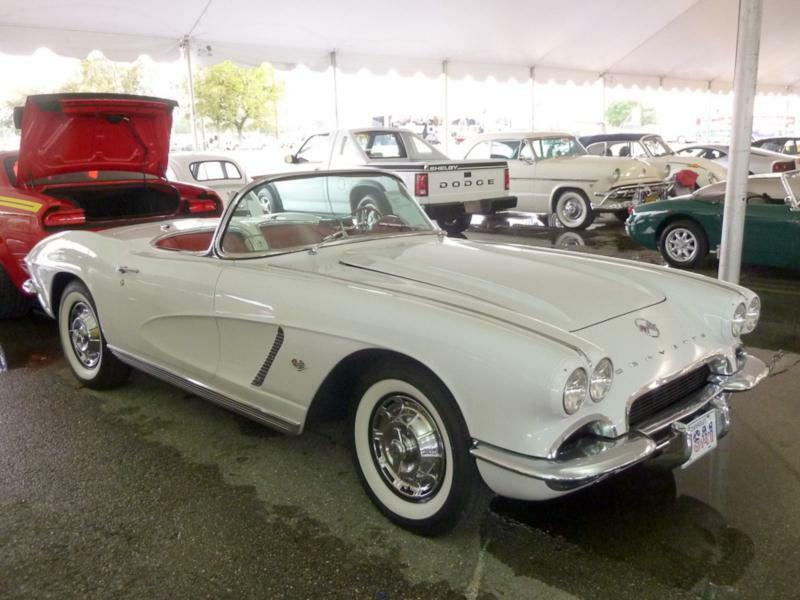 Sales were still slow, particularly in comparison to the new 1955 Thunderbird that offered myriad comfort and convenience features that were unavailable on the Corvette, including outside door handles and roll-up windows. 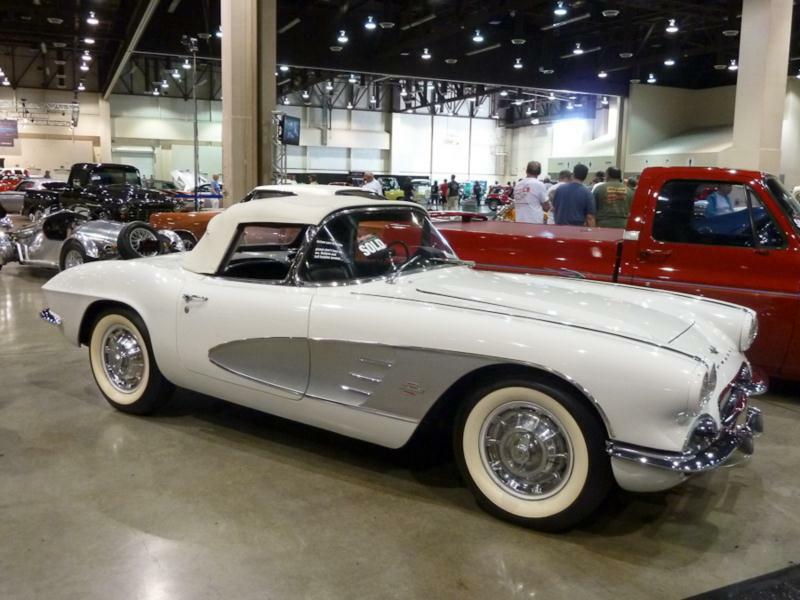 Restyled in 1956 by Bob Cadaret to include the now famous side cove, the new Vette featured outside door handles, roll-up windows, and options like a hard top, power windows, and even a power assisted soft top. 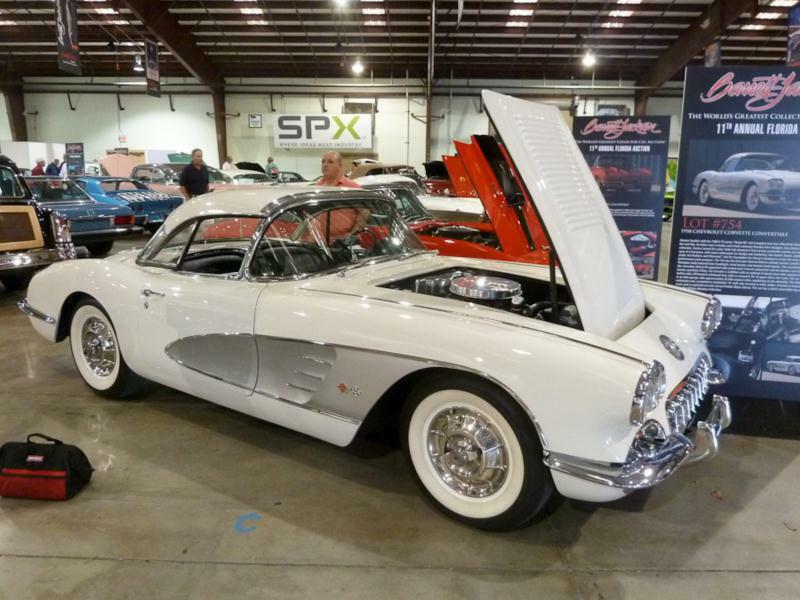 From a performance standpoint, the Corvette really hit its stride in 1957 with the addition of a 4-speed manual option, fuel injection and a dual quad 283 engine making over 270 hp. 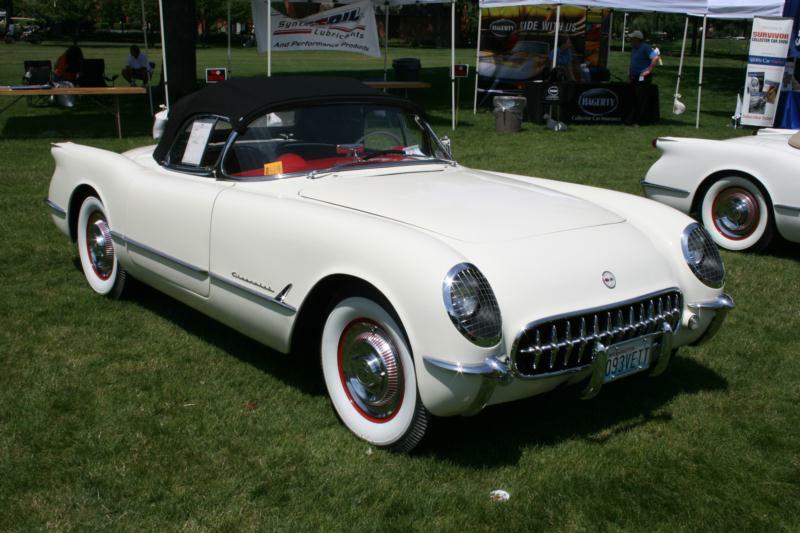 In 1958, none other than Harley Earl restyled the car, with 1958-only features such as hood louvers and chrome trunk spears as well as a bolder, nine-tooth grille treatment. 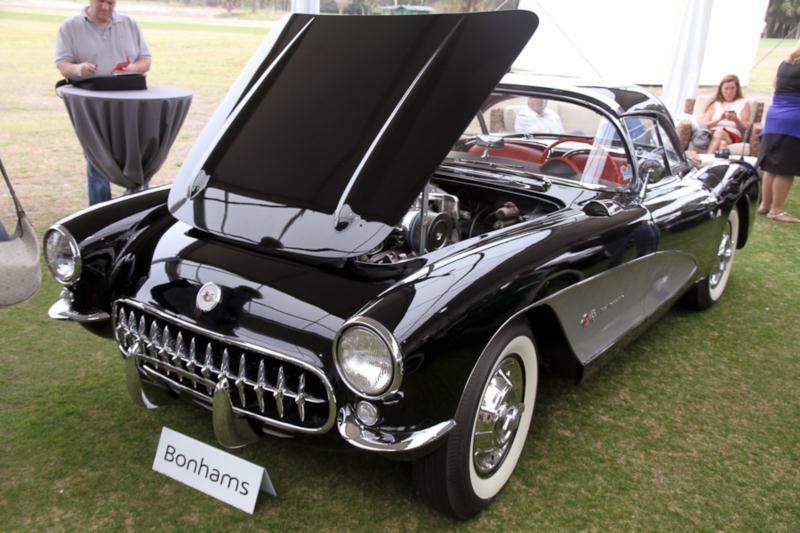 The 1959 Corvettes are very similar, with the familiar twin headlight look, but sans the hood louvers and trunk spears. 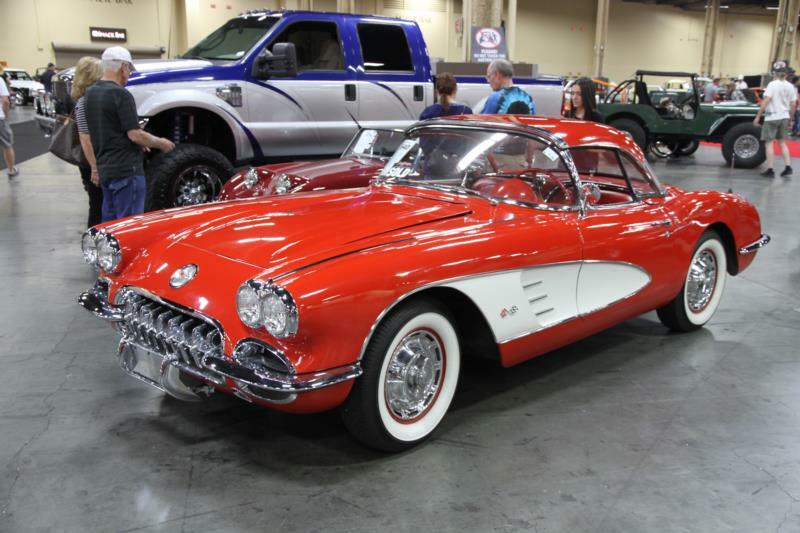 By 1960, Corvette production reached 10,000 vehicles for the first time, and the option list continued to grow with six new colors available and an aluminum radiator option on the 270 and 290-hp models. 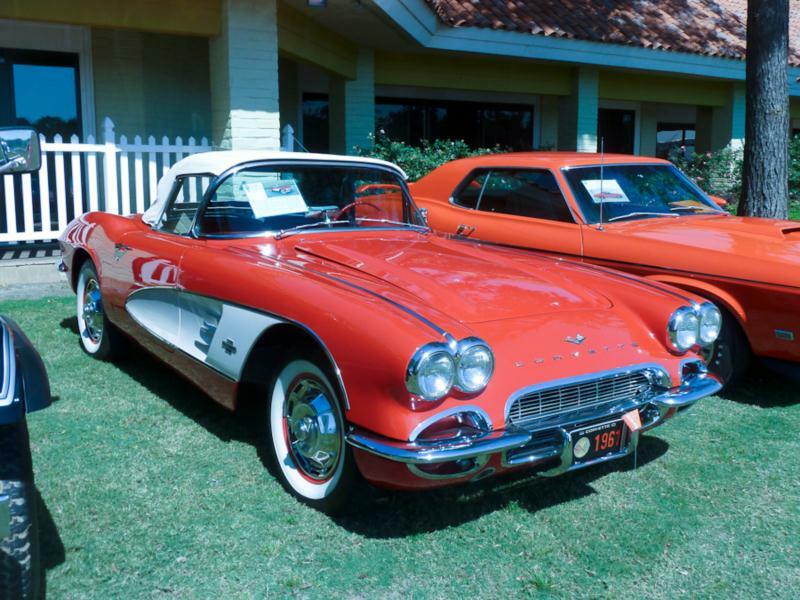 1961 Corvettes were technically still part of the first generation of "C1" or first-generation solid axle Corvettes. 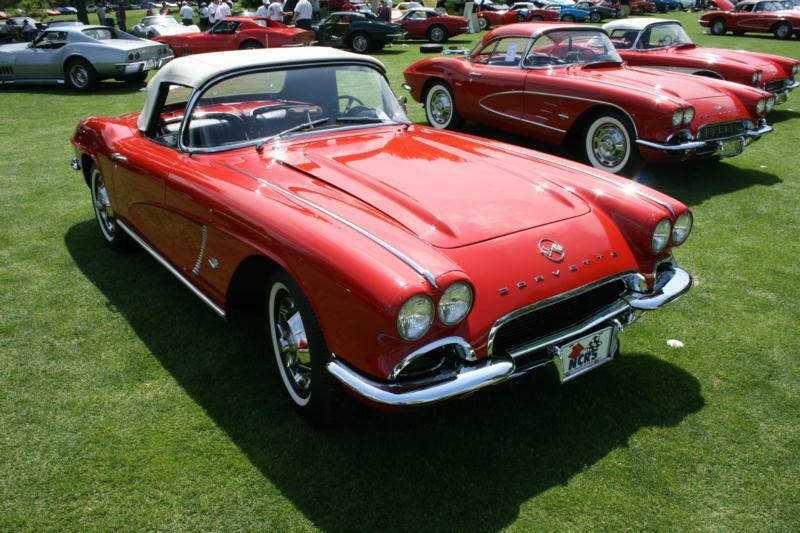 They were substantially changed, however, from the 1956 cars. The grille “teeth” were eliminated and there was a completely different rear end with four round taillights that actually carried over into the all-new ’63 Sting Ray design, as did the substitution of an alternator instead of a generator. 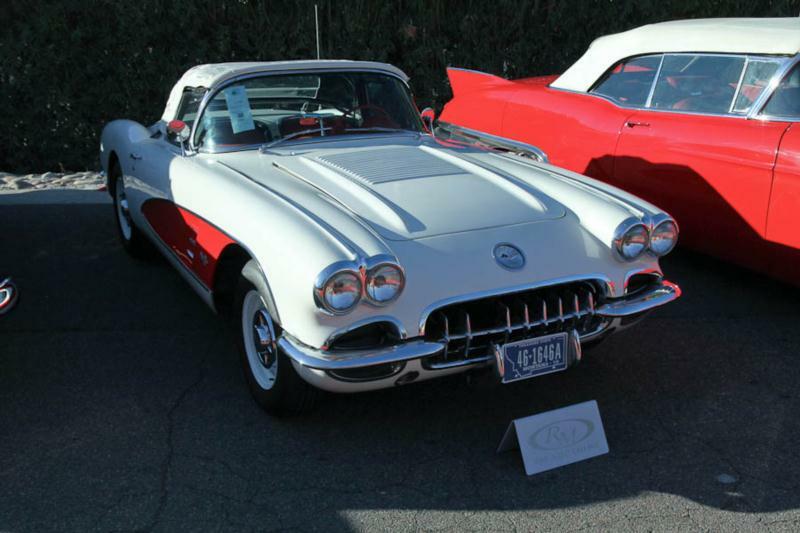 1962 was also the last Vette to carry exposed headlights until the 2005 model, and is the last year for a Corvette with a solid rear axle. Another feature that was to carry over to the all new 1963 Sting Ray was the much loved 327 cubic inch small-block V-8 that was available in four states of tune from the base 250 hp up to the fuel injected 360-horse version.